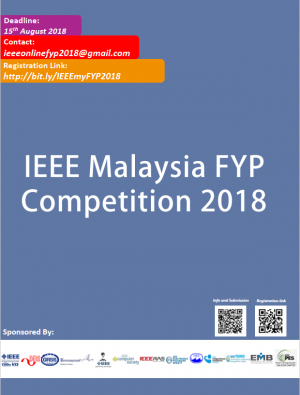 IEEE Malaysia Section invites Electrical/Electronic/Computer Engineering Students to participate in 2018 IEEE Malaysia Final Year Project (FYP) Competition. It is dedicated to ALL (member and non-member) Undergraduate students who just recently completed or are currently undertaking their Final Year Project in Malaysian Universities/Institutions. Submission Deadline is on 15th August 2018. Students can submit their Final Year Project in one of the following tracks (only ONE track per submission). 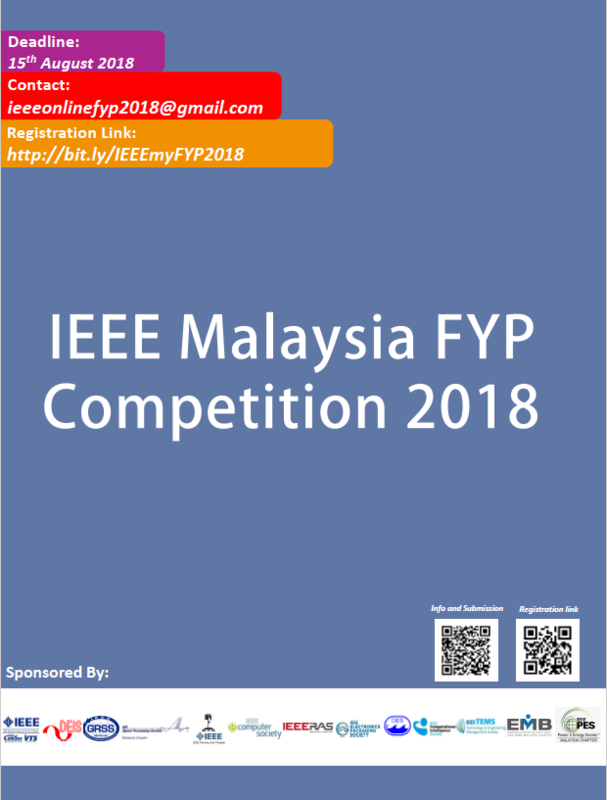 Open for all undergraduate students (IEEE Member and Non-Member) who has just completed or is currently doing their Final Year Project (FYP) in Year 2018. Individual projects and group projects are accepted. The submitted Final Year Project project must be the student’s own project work NOT the work of others. Submission Deadline: 15th August 2018. Submissions can be made HERE!